What is the minimum age required to be eligible for TNTET 2018 exam? Candidates age should not be less than 18 years to be eligible for TNTET 2018 exam. 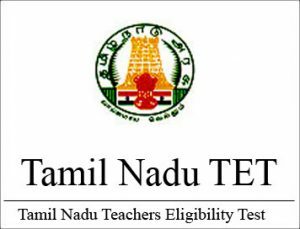 Click here to know other eligibility criteria of TNTET 2018 exam. What is the education qualification required to become a Primary School Teacher? Candidates must have passed 12th with B.Ed or Nursery Teacher Training Degree with having two years BTC in Urdu to become a Primary School Teacher. What is the minimum age limit required for TNTET 2018 exam? Click here to know other eligibility criteria for TNTET 2018 exam. What is the education qualification need to become a secondary school teacher? TNTET 2018 education qualification for the secondary school teacher is Graduation with B.Ed with 50 % marks. QHow to fill the application form? The complete detail and procedure can be accessed through the link here. QWhen will the date of TNTET will be notified? When will the date of TNTET will be notified? The dates are not officially declared, but the tentative date for application form will be in the 1st week of July. Read more about important dates here.